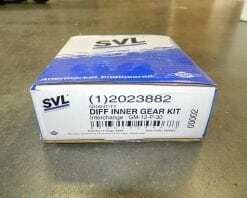 This is an SVL internal kit for a 1992 or older Jeep Dana 35 rear axle with an open differential. These axle gears have a 1.6″ hub where it rides in the carrier. 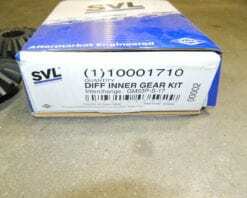 The SVL part number is 10020716. We stock them under the original Dana/Spicer 707247X part number, which has been discontinued. This is an internal kit for a 28 spline factory Ford Trac Lok stlye posi differential. These are made by SVL, which is Dana/Spicer’s aftermarket parts line. This kit only includes what is pictured and does not include clutches or the big clutch gear cup. 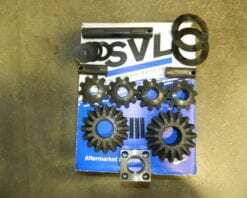 This is an internal kit for a 31 spline factory Ford Trac Lok stlye posi differential. 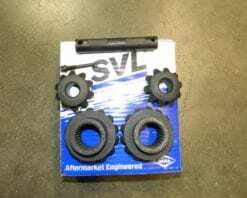 These are made by SVL, which is Dana/Spicer’s aftermarket parts line. This kit only includes what is pictured and does not include clutches or the big clutch gear cup. 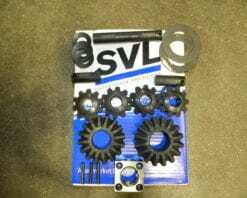 This is a set of SVL spider gears that fit 1955-1964 Chevy cars with the dropout 3rd member and an open differential. The axle gears are 17 spline. 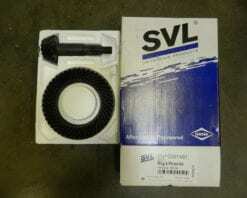 SVL is Dana/Spicers line of aftermarket parts. This is a new internal kit for the factory posi track differential found in 12 bolt Chevy passenger cars and trucks from the late 1960’s to the early 1980’s. The axle gears are 30 splines. 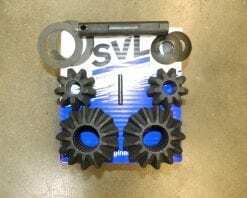 This is a genuine SVL internal gear kit for the Dana 30 4X4 front axle in most Jeep applications. This is a new ring gear and pinion in a 3:54 ratio. This is a SVL brand, which is Dana’s cheaper line. These are the same for all Dana 80’s including GM, Ford, and Dodge applications.